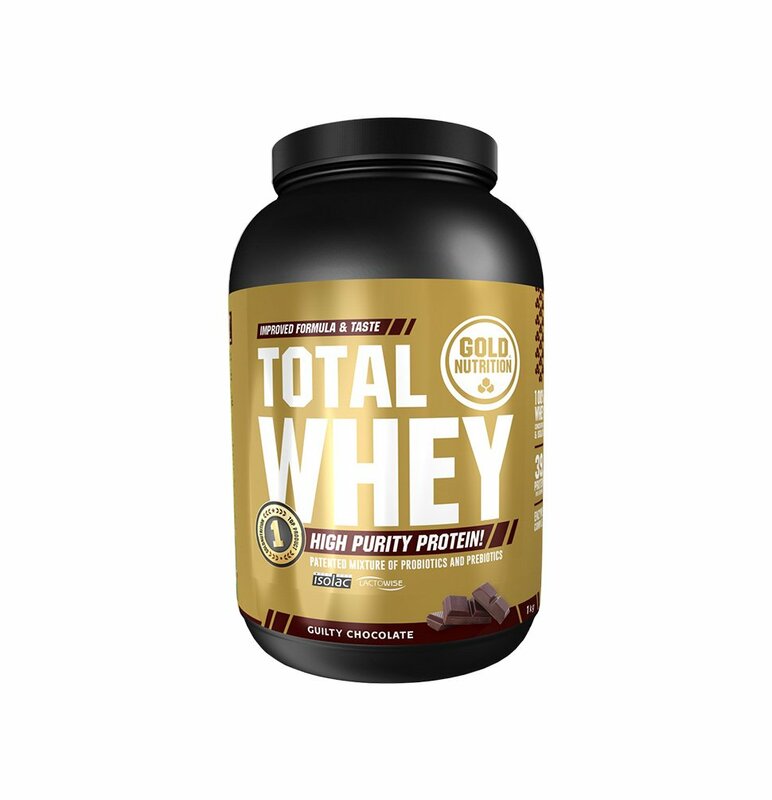 White Chocolate-Hazelnut: Whey Protein Concentrates (Emulsifier (Soya Lecithin)) [89%], ISOLAC® Instant (Whey Protein Isolates, Emulsifier (Soya Lecithin)) [5%], Aroma (Milk), Thickeners (Guar gum, Xanthan gum), Saturated Chloride, Lactase [0.5%], Bromelain [0.33%], Papain (Sulphites) [0.33%] Extract, Dye (Caramel), Sweetener (Sucralose), Lactowise® (patented blend of LactoSpore ® (Bacillus coagulans) and Fenumannan ® (Galenomannan seeds of Greek Hay – Trigonella foenum – graecum L.). Chocolate-Hazelnut: Whey Protein Concentrates (Emulsifier (Soya Lecithin)) [49%], ISOLAC® Instant (Whey Protein Isolates, Emulsifier (Soya Lecithin)) [35%], Cocoa in powder, Aroma, Thickeners (Guar gum, Xanthan gum), Saturated Chloride, Emulsifier (Soya Lecithin), Lactase [0.5%], Bromelain [0.33%], Papain Extract (Sulphites) [0.33%], Sweetener (Sucralose), Acidity regulator (Citric acid), Lactowise® (patented blend of LactoSpore® (Bacillus coagulans) and Fenumannan® (Galenomannan seeds of Greek Hay – Trigonella foenum – graecum L.)). Strawberry Banana: Whey Protein Concentrates (Emulsifier (Soya Lecithin)) [89%], ISOLAC® Instant (Whey Protein Isolates, Emulsifier (Soya Lecithin)) [5%], Aroma, Thickeners , Xanthan gum), Dye (Red beet), Sacto Chloride, Lactase [0.5%], Bromelain [0.33%], Papain (Sulphites) [0.33%] Extract, Sweetener (Sucralose), Lactowise® (patented blend of LactoSpore® (Bacillus coagulans) and Fenumannan® (Galenomannan seeds of Greek Hay – Trigonella foenum – graecum L.)). Chocolate-Mint: Whey Protein Concentrates (Emulsifier (Soya Lecithin)) [70%], ISOLAC® Instant (Whey Protein Isolates, Emulsifier (Soya Lecithin)) [20%], Cocoa Mint powder, Aroma (Milk), Sodium Chloride, Emulsifier (Soya Lecithin), Lactase [0.5%], Bromelain [0.33%], Papain Extract (Sulfites) [0.33%], Sweetener (Sucralose), Lactowise® (patented blend of LactoSpore® (Bacillus coagulans) and Fenumannan® (Galenomannan seeds of Greek Hay – Trigonella foenum – graecum L.)). Vanilla: Whey Protein Concentrates (Emulsifier (Soya Lecithin)) [90%], ISOLAC® Instant (Whey Protein Isolates, Emulsifier (Soya Lecithin)) [5%], Aroma, Thickeners (Guar Gum, Xanthan Gum), Sodium Chloride, Lactase [0.5%], Bromelain [0.33%], Papain Extract (Sulphites) [0.33%], Sweetener (Sucralose), Lactowise® (patented mixture of LactoSpore® (Bacillus coagulans) and Fenumannan® (Galenomannan seeds of Greek Hay – Trigonella foenum – graecum L.)). With you everywhere. You have no excuse now. If you train, take one serving (2 shakes) per day. You can have a shake 1 hour before the training and another after the training. To prepare a shake is simple, add a shallow measure (26 g) to 150 ml of water. That's it!